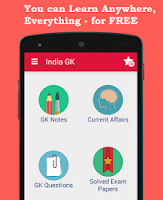 India Ranked No. 55 in World Economic Forum Annual Report. India moved up 16 spots in the report released by the World Economic Forum on Tuesday. India was the sixth-highest ranked country in the "emerging and developing Asia" region. The Global Competitiveness Report 2015-2016 assesses the competitiveness of 140 world economies. Using a mixture of quantitative and survey data, it ranks countries overall by combining 113 indicators grouped under 12 pillars of competitiveness: institutions; infrastructure; macroeconomic environment; health and primary education; higher education and training; goods market efficiency; labour market efficiency; financial market development; technological readiness; market size; business sophistication; and innovation. 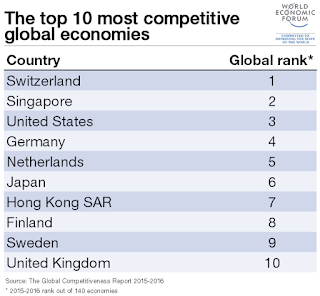 Switzerland tops the Global Competitiveness Index for the seventh year in a row. It leads the world in its capacity to innovate and scores highly for its education system and labour market efficiency. Switzerland’s infrastructure is strong, its public institutions are effective and transparent, and its macroeconomic environment is more stable than most. Still, the cost of doing business in Switzerland is high – and its strong currency, negative real interest rates and uncertainty about future immigration policy are all cautions against complacency. After five years of decline, India jumps 16 ranks to 55th place. This dramatic reversal is largely attributable to the momentum initiated by the election of Narendra Modi, whose pro-business, pro-growth, and anti-corruption stance has improved the business community’s sentiment toward the government. Last year India tumbles 11 places on competitiveness index in report released in September 2014. The quality of India’s institutions is judged more favorably (60th, up 10), although business leaders still consider corruption to be the biggest obstacle to doing business in the country. India’s performance in the macroeconomic stability pillar has improved, although the situation remains worrisome (91st, up 10). Thanks to lower commodity prices, inflation eased to 6 percent in 2014, down from near double-digit levels the previous year. The government budget deficit has gradually dropped since its 2008 peak, although it still amounted to 7 percent of GDP in 2014, one of the world’s highest (131st). Infrastructure has improved (81st, up six) but remains a major growth bottleneck—electricity in particular. India remains one of the least digitally connected countries in the world (120th, up one). Fewer than one in five Indians access the Internet on a regular basis, and fewer than two in five are estimated to own even a basic cell phone. 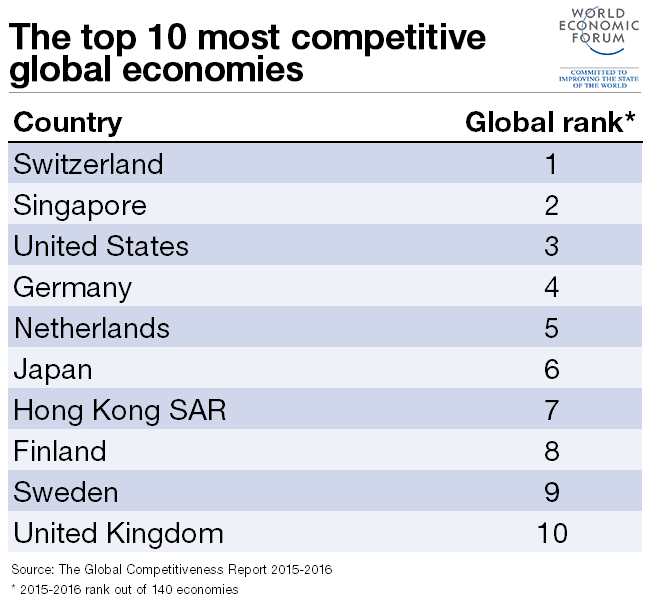 Global Competitiveness Report (GCR) is a yearly report published by the World Economic Forum. Since 2004, the Global Competitiveness Report ranks countries based on the Global Competitiveness Index,developed by Xavier Sala-i-Martin and Elsa V. Artadi. The report "assesses the ability of countries to provide high levels of prosperity to their citizens. This in turn depends on how productively a country uses available resources. Therefore, the Global Competitiveness Index measures the set of institutions, policies, and factors that set the sustainable current and medium-term levels of economic prosperity."